Different with single girder gantry crane or double girder gantry crane, the semi gantry crane has the difference of leg height, which can be custom designed according to different working environments. 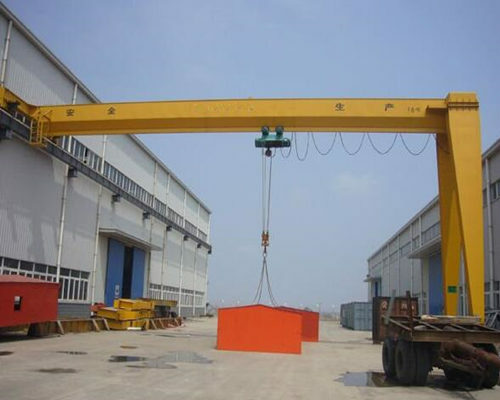 Not like other gantry cranes, the semi gantry crane only has one side support leg, the other is walking on the wall, and the other side of semi gantry cranes walks on ground, using this special design in low price semi gantry crane, the owner of factory, warehouse can save factory space and achieve cost-efficiency. 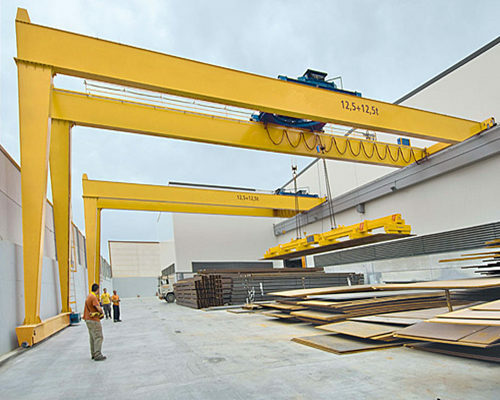 As the leader in semi gantry crane design, Ellsen mainly can design and produce two main semi gantry cranes with hoist for sale. They are the BMH type single girder semi gantry crane with hoist for no more than 16 ton lifting capacity and the BMG model double beam semi gantry cranes for sale with almost 32 ton lifting capacity. According to real situation of work, we mainly design three work duties, A3, A4, A5 to suit for different lift jobs.In order to avoid the overturn or slide glide under fierce wind, we also adapt drive mode to operate a electric semi gantry crane. 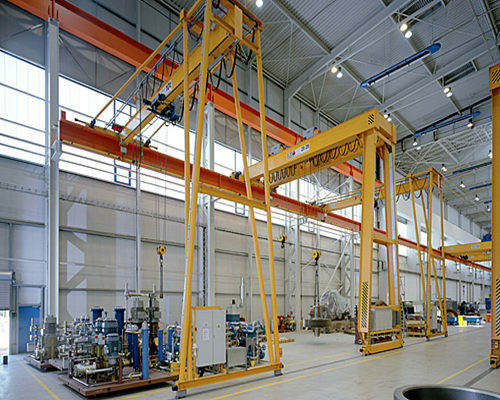 1.Seven main components of semi gantry. They are the steel structure, two support legs, support beam, big vehicle walking, electric section, electric hoist. 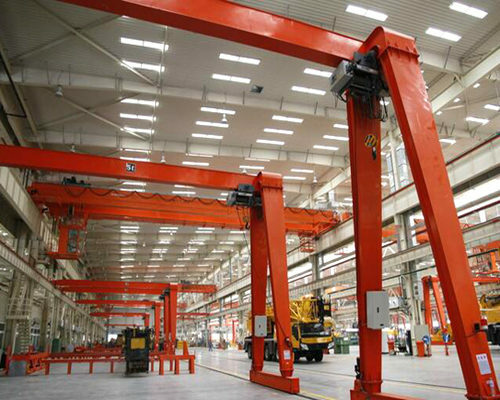 2.Various choicesfor semi gantry crane components. Usually, we will equip hook as main lift tool, of course we will also offer you the motor grab, magnet in you needed. The others include remote control, rail, and different kinds of electric hoists. 3.Two production standard, the common type semi gantry crane design for regular working environments, and the customized European type semi gantry crane for sale with bigger work duty and less or zero maintenance for busy and heavy jobs. 1.Single girder semi gantry crane with hoist holds smaller lifting capacity, which can only reach 16 ton, while double beam semi gantry crane design can get 32 ton or even more. 2.Single girder industrial semi gantry crane design with 5-20m span, while the double beam low price electric semi gantry crane can reach 18-35m span. 3.In lifting height, the single girder semi gantrycrane 3t can only get 6-12m, while the double girder travel semi gantry crane can get 18-35m. 4.Single girder mini semi gantry crane owns A3,A4 work duty, while double girder industrial semi gantry crane can get A4,A5. Single girder semi gantry crane with hoist is cheaper than double beam electric semi gantrycranes for sale. 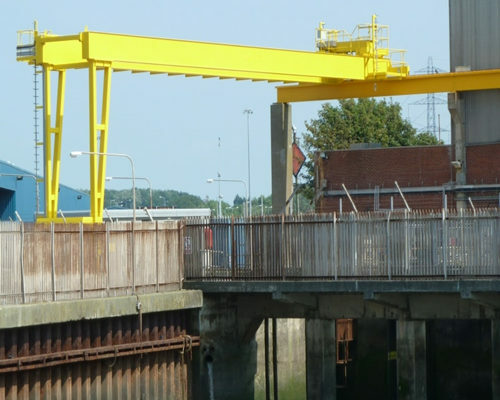 However, both our single girder electric semi gantry cranes and double beam travel semi gantry crane can be design into European type with less maintenance and more work duty, very suitable for frequent works. 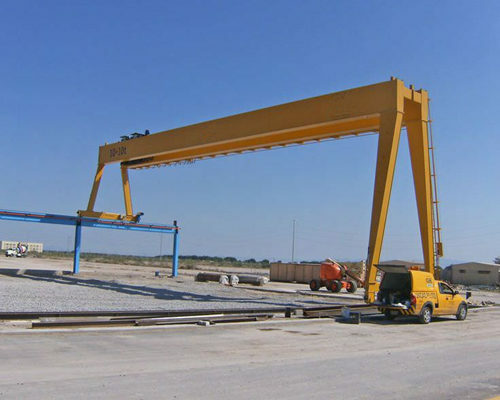 Want free semi gantry crane design or price? 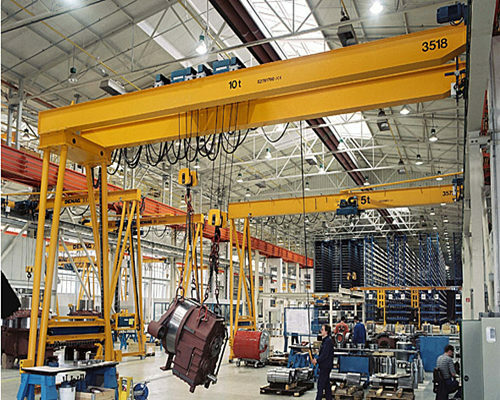 1.Rapid response for your free semi gantry crane inquiry, and offer you free semi gantry crane design project suggestion from our professional small gantry crane engineers. 2.Patient conversation from our sales manager with more than 3 years working experience about all semi gantry cranes 3t detailed, such as the color, logo, language, delivery and test. 5.High quality mini semi gantry crane, using advanced technology and production line, as well as more than 300 girder semi gantry crane engineers, we guarantee you the highest quality electric semi gantry cranes for sale. 1.Free installation and maintenance guidance. 4.Our specified semi gantry crane 3t engineers are already to go to your country to help you solve all problemsassociated with our low price semi gantry crane.